Pressroom | VINCE GILL IS STILL HAVING FUN MAKING MUSIC. 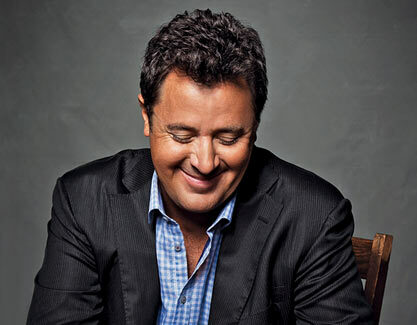 VINCE GILL IS STILL HAVING FUN MAKING MUSIC. The last solo release by Vince was 2011’s Guitar Slinger, and he also released the collaborative album, Bakersfield, with Paul Franklin a couple of years ago; covers of Buck Owens and Merle Haggard songs. The Country Music Hall of Famer is set to hit the road with pal Lyle Lovett for their Songs and Stories Tour. First, he’ll join wife Amy Grant at the Ryman Auditorium for their annual Christmas at the Ryman shows in December. Audio / Vince Gill says he still has fun recording music.